This blog is dedicated to the preservation and sharing of old Hindustani Classical music recordings from my vinyl collection. Hi friends. Here is a little surprise I found in a local store. I didn't have it in my collection yet. It was in great condition. There was a set of Signatures Series CDs released with a few of the Connoisseur Society recordings on them (these track were included on Vol. 2) - all of very good quality, but here is the LP in case you want to compare. The CD has a warm, rounder sound, whereas the vinyl is a little brighter. Hope you enjoy. By the way, I have no idea why anyone thought it was appropriate to put a pair of breasts on the cover of this album, but it is what it is! Digitised with: Project Essential II Turntable, Ortofon Red Stylus, recorded as WAV 16/48 in Audacity and saved unaltered (apart from track separation/info tags) as FLAC, and then separately edited with: Clickrepair (low settings) then slight reduction on surface noise + normalised to -2.0db in Audacity and exported as FLAC and MP3 320kbps. 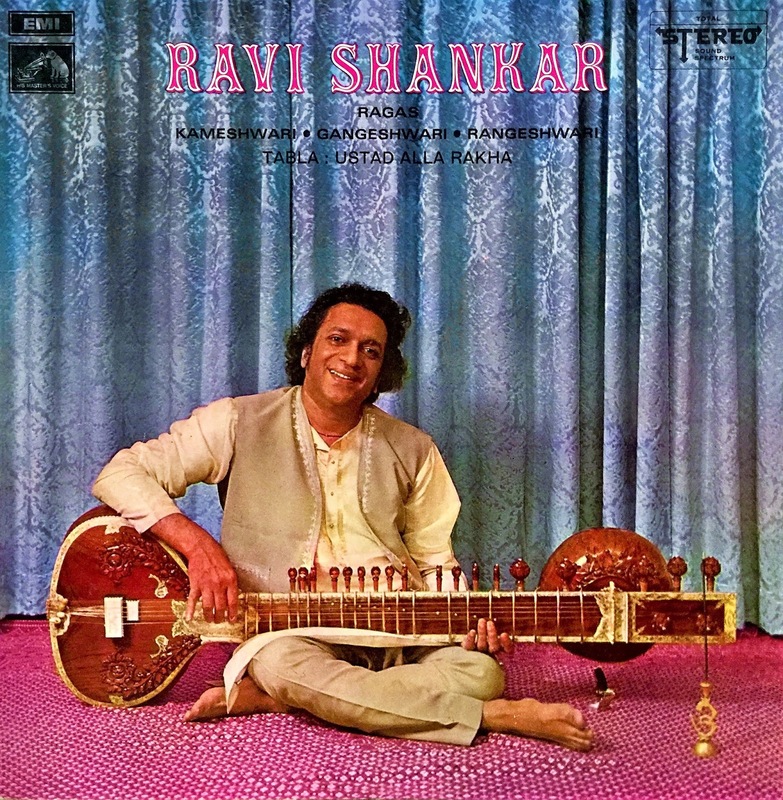 Here is a 1972 LP of Ravi. This, and the LP in the previous post were not digitalised in a mainstream release on CD (I think) - compared to many of the World Pacific recording which were remastered and released on the BGO/Angel CD labels... If you know of any CD releases of these albums feel free to comment. There is some imperfections on the first track and some background noises in the actual recording like equipment moving around.... but they came up very nicely. The LP was in great condition visually. Enjoy! I love these rarer recordings. Hi friends. Ravi Shankar is one of my favourite sitar players. I read somewhere a long time ago that saying you admire or love something is worthless unless you can say why. Well I love Ravi's understanding of rhythm from his fascination with south Indian music and the way he uses it in his performances. 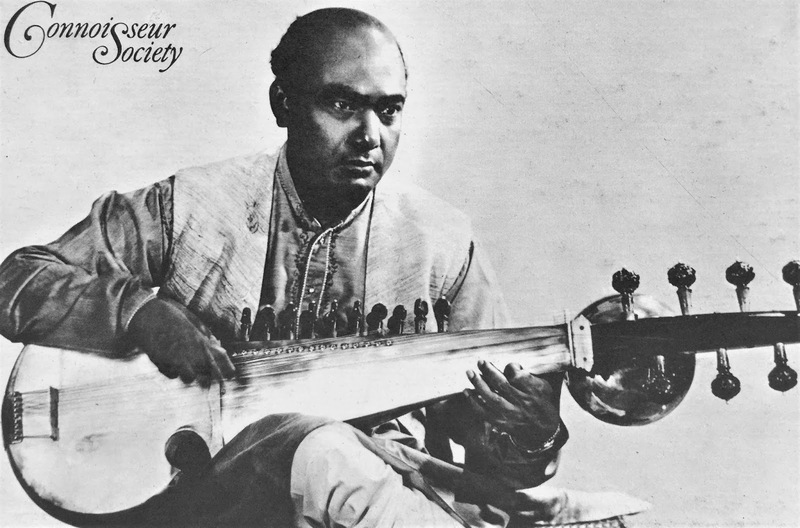 I love his unique use of the lower register of the sitar in sections of Alap. This is particularly beautiful and always puts me in a meditative state. I believe Ravi was influenced by the Surbahar, as well as the Dhrupad style, which explains this kind of nod towards it in his playing. You can hear some of this around between 4-7 minutes of Raga Patdeep (Track 2). My understanding is that the Vilayat Khan style of sitar in comparison had its range reduced in favour of more flexibility to produce meend and ornamentation - the aim of Vilayat's music being to imitate the singing style - gayaki ang. Some of my favourite recordings where you can hear the use of the low register on Ravi's Sitar are "Raga Bairagi Todi" - track one from the 1988 album "Spirit of India" (in fact, this is the first Ravi Shankar recording I ever heard back in 2007). 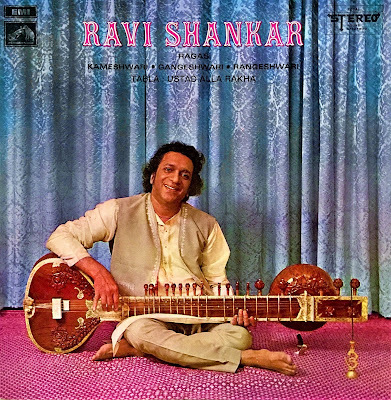 Another is the Alap of Raga Charukauns, track one of the 1986 album "Incredible Ravi Shankar". Both have very good digital versions available on CD. 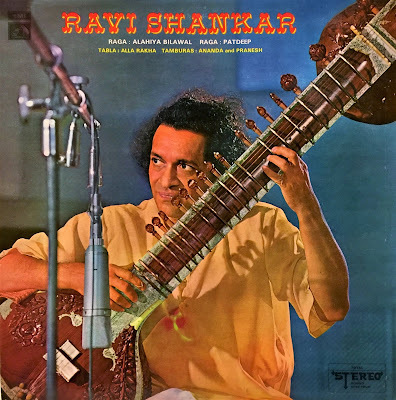 The reason I'm sharing more background info than usual is because I have a couple more Ravi Shankar LPs that I want to post. I most of Ravi's LP discography - which is quite a lot! Most of these have been digitised fairly well on CD - but then again some haven't. I look forward to sharing a few more with you in the future. Thanks again for your support and loving ears. P.s. If you haven't read Ravi Shankar's autobiography - I strongly encourage you - it's called "Raga Mala" by Element Books Ltd - the one with the gold cover! Here is a rare Hariprasad Chaurasia LP as promised. I'm not sure whether this was ever digitised, if anyone knows please comment. It's not the best quality or most consistent recording, but thankfully not the worst... I hope to enjoy it. It seems to just be track D1 - Ragmalika that has a long fade in and hiss for some unknown reason - it must be in the recording. Digitised with: Project Essential II Turntable, Ortofon Red Stylus, recorded as WAV 16/48 in Audacity and saved unaltered (apart from track separation/info tags) as FLAC, and then separately edited with: Clickrepair (low settings) then slight reduction on surface noise + normalised to -3.0db in Audacity and exported as FLAC and MP3 320kbps. Hi friends, it's been a long time since my last post. This has been mainly because I've become busy with other things in life, and also because I have posted most of the rarer LP's in my collection already. The rest of my collection has mostly been posted on other blogs, but I shall slowly post my own copies in case they are of better quality than what is already available out there. 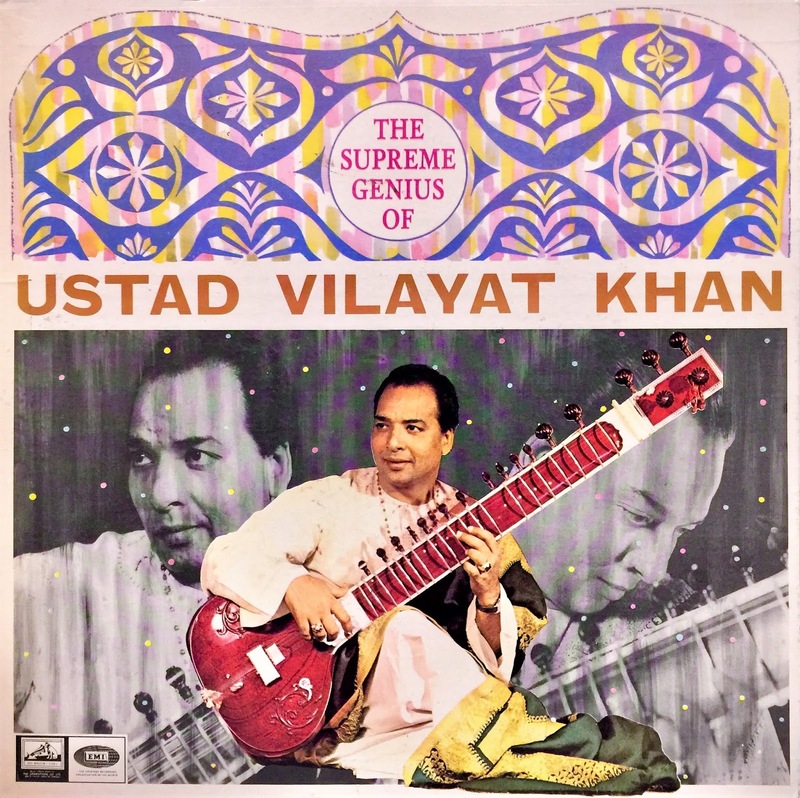 This Vilayat Khan recording was posted not too long ago on oriental blogspot - and I don't want to reduce in any way the amazing work being done there, the posts are super frequent and admirable. However, I just happened to compare my copy of this LP with the one I had downloaded from Oriental Blogspot and noticed my copy was clearer and brighter. Therefore I have shared it as well. Please enjoy. Next I plan to post a rare LP by Hariprasad Chaurasia 1987 'In Concert' - His Master's Voice ‎– PSLP 1479/80. This is a double LP so will need to find time to record and edit. Thanks, Kirrin. Digitised with: Project Essential II Turntable, Ortofon Red Stylus, recorded as WAV 16/48 in Audacity and saved unaltered (apart from track separation/info tags) as FLAC, and then separately edited with: Clickrepair (low settings) then slight reduction on surface noise + normalised to -2.5db in Audacity and exported as FLAC and MP3 320kbps. Here is a 1967 Indian release of Ali Akbar Khan. I believe our friend Tawfiq at 'oriental-traditional-music' posted a copy of this in 2015. I have compared my version and found it brighter with more upper frequencies, which adds a nice clarity. I ordered this LP from the Ukraine... so not only was I happy that it actually made it all the way to Australia, it also looked unplayed, so a great opportunity to digitise it in its prime! It's truly a joy to find these 50 year old records in such great condition. A fairly relaxed rendition of Raga Medhavi and a nice rendition of Bairagi. The technical accuracy stands out nicely into the faster passages. Digitised with: Project Essential II Turntable, Ortofon Red Stylus, recorded as WAV 16/48 in Audacity and saved unaltered (apart from track separation/info tags) as FLAC, and then separately edited with: Clickrepair (low settings) then slight reduction on surface noise + normalised to -1.5db in Audacity and exported as FLAC and MP3 320kbps. Hi friends. Here is a 1963 UK pressing of Ravi Shankar. Fairly sure it's only released in mono. Not the worst recording! It's fairly easy to get a copy of this LP online. A friend has told me there are a few various compilation CDs from India with these tracks. Hopefully this is better than those. Digitised with: Project Essential II Turntable, Ortofon Red Stylus, recorded as WAV 16/48 in Audacity and saved unaltered (apart from track separation/info tags) as WAV/FLAC, and then separately edited with: Clickrepair (low settings) then slight reduction on surface noise + normalised to -1.5db and tracks merged to MONO to reduce noise, in Audacity and exported as FLAC and MP3 320kbps. The music made available on this page are mostly commercially unavailable in a modern accessible format to the best of my knowledge, and are meant to promote artists and labels. If you like this music, please try to buy the original! There is no commercial intent in this blog. If you are (or represent) either the original rights holder or one of the performers in these recordings and wish me to delete the download links, please contact me directly through the comments section or email and the download links will be removed.